Hayley Carter once again led the way this past week at the Palmetto Championships (SC State Closed) that was held May 24-28, in Belton, South Carolina capturing her 15th and 16th titles respectively. With those wins she goes down in history as one of the the best players to play South Carolina tennis, breaking the record by winning the most SC State Championships. 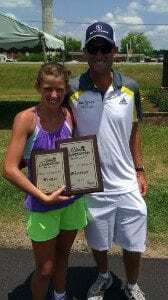 She won the girls 18 and under singles championship by defeating Ansley Speaks, 6-0,6-0. For the doubles championship, Carter partnered with Speaks and defeated Olivia Lucas and Rachel McNeely 8-0. 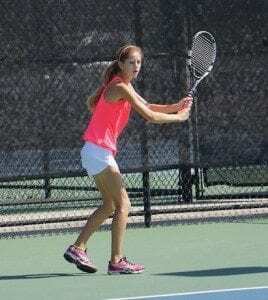 Carter was not alone in her dominance as academy students won a total of 7 Palmetto Championships while also having a significant number of top 8 finishes. 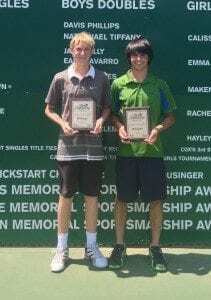 Robert Loeb won the boys 16 and under singles title defeating fellow academy student Kyle Barr in the finals. Loeb and Barr also teamed up to win the doubles championship. 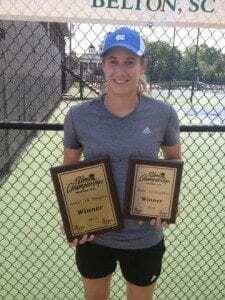 Ali DeSpain dominated the girls 14 and under division winning both the singles and doubles titles. The girls 16 and under division was loaded with Smith Stearns players as 6 out of the 8 quarterfinalist were academy students. Natalie Kitchen was a finalist in the singles and doubles championship. 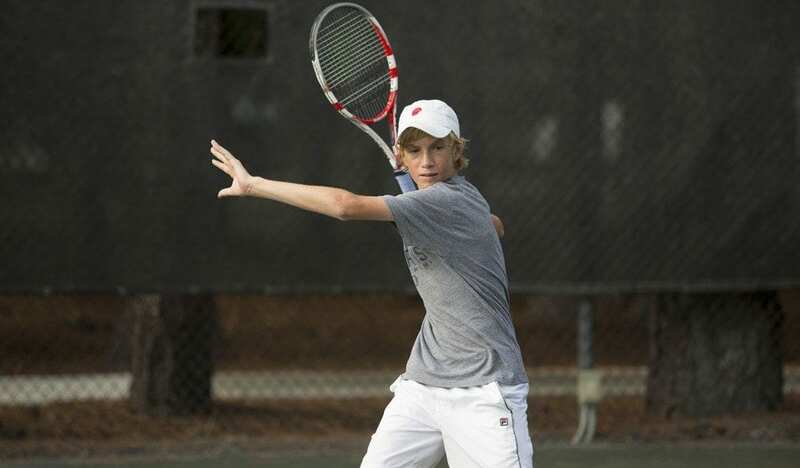 Cameron Kriscunas won the doubles title with partner McKenna Jones defeating fellow academy students Kitchen and Sydnee Wheeler in the finals. Kriscunas and Ellie Czura placed in the top 4 of the singles and, Mary Hampton McNeal and Wheeler placed in the top 8. As an unseeded player, Matt Kandel made it all the way to the semifinals of the boys 12 and under division. Other top 8 finishes include Kelly Mengel and Kate Christensen in the girls 18’s and Catie Meighan and Elle Christensen in the girls 14’s. All top 8 finishers secure an automatic spot to play in the Southern Closed Championship which will be held at various sites around the section from June 15-22.